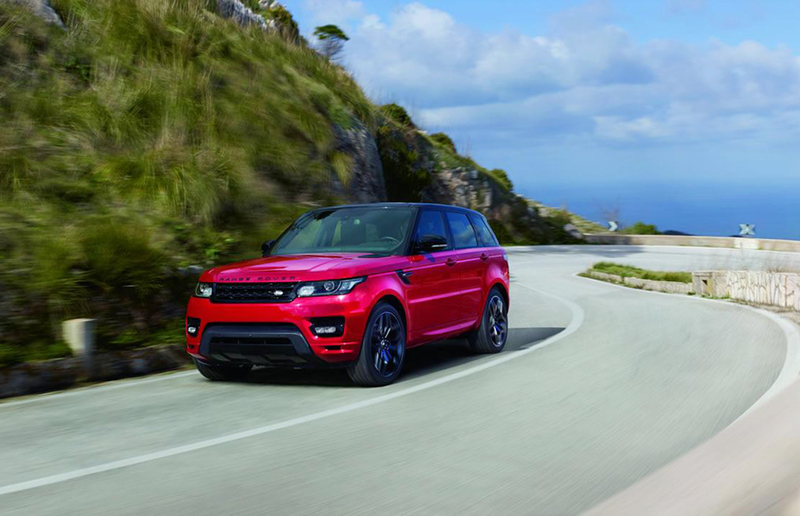 2016 Range Rover Sport has been blessed with an HST version. Land Rover would showcase the updated model at New York Auto Show next week. The HST variant is slotted under Range Rover SVR range-topping model. This new model is equipped with a 3.0-liter V6 supercharged engine that churns out a 380 HP. With this output, the car is 40 HP more powerful as compared with the regular model of Range Rover Sport with 3.0-liter V6 supercharged engine. Besides the enhancement in power output, HST variant comes with Stealth Pack. The front and rear feature Stealth Pack lamps. Also present are surrounds that are non-reflective. Another feature is the contrast roof Santorini Black. The profile is further improved by a revised spoiler. The 21-inch alloy wheels are adorned with an elegant finish of dark satin grey. The brake packing is upgraded – the brake calipers are red. By paying some extra bucks, customers can give a more aggressive look to their car with 22-inch wheels. The accents in glossy black make the hood, grille, foglamp bezels and the front wing vents appealing. Other modifications on the exterior are special badging, the beautifully sculpted panels that are body-colored and the additional vent detailing. Land Rover has brought about changes in the chassis, so that drivers enjoy a better experience. The engineers have updated the suspension for diminishing body roll. Also, the system of Terrain Response has been specially tuned. The model features Dynamic Mode, electric power-assisted steering and electronic systems. The interior features dual-tone seats. Oxford leather has been used for the seats and ebony for the door trims, center console and headlining as well. Customers have four choices for ebony/color in leather upholstery. The version all-ebony is available too. Yet more features are HST badging, paddle shift gear levers that are Noble-plated, ‘Sports’ pedals and aluminum trim.